Hair gel used on mummies — maybe for more body? Egyptians kept their hair looking good in the afterlife with a type of fat-based hair gel, new research shows. 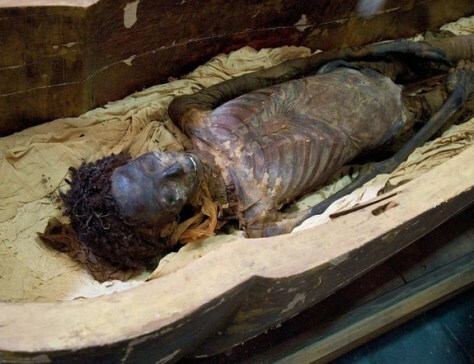 The mummy Maiherpri, shown here, was alive during the 18th dynasty, slightly older than the mummies sampled in the study.